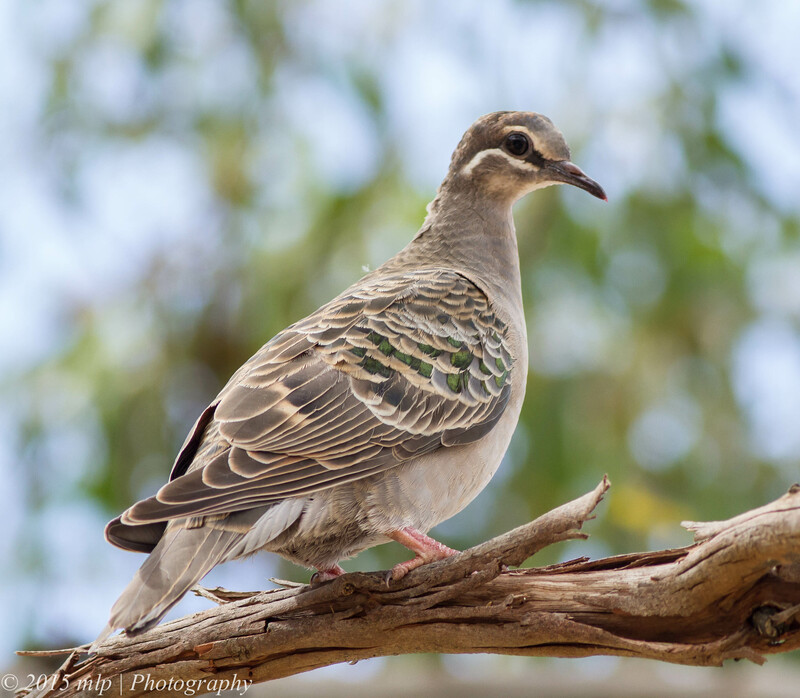 The You Yangs Regional Park (about 45 min SW of Melbourne) is a great place to visit and to photograph birds and wildlife in general. 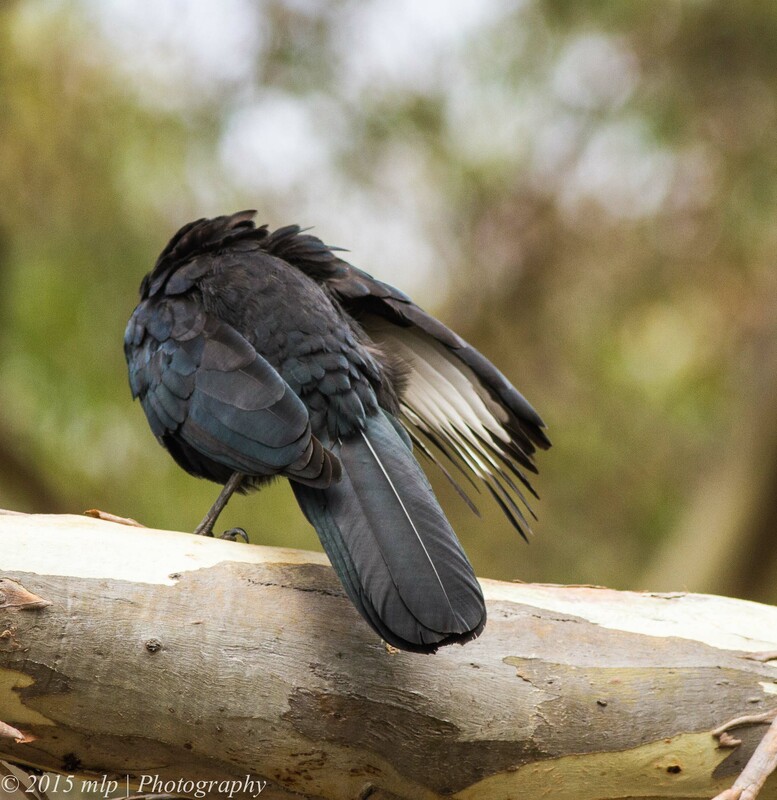 There is a variety of vegetation and terrain that brings in a good selection of birds at various times of the year. 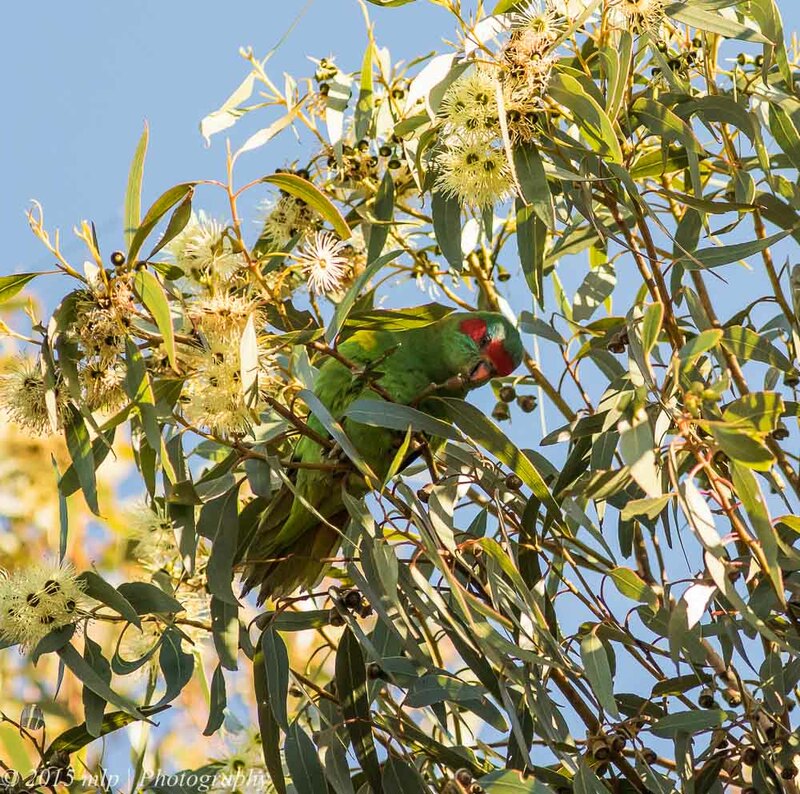 At the moment several of the gum tree species are flowering and many Parrots, Lorikeets and Honeyeaters are visiting. Recently I drove with a few local birder friends and we explored the usual spots and then onto a few new ones that I had not been to before. For the middle of winter there were quite a few birds and animals around. 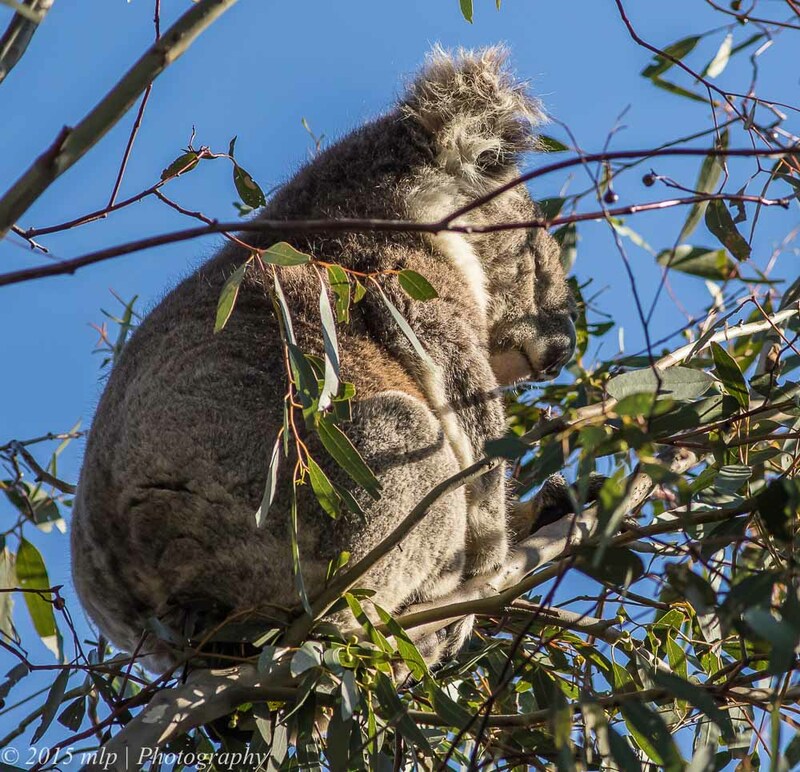 The Koala of course was safe up his tree and just ignored us. 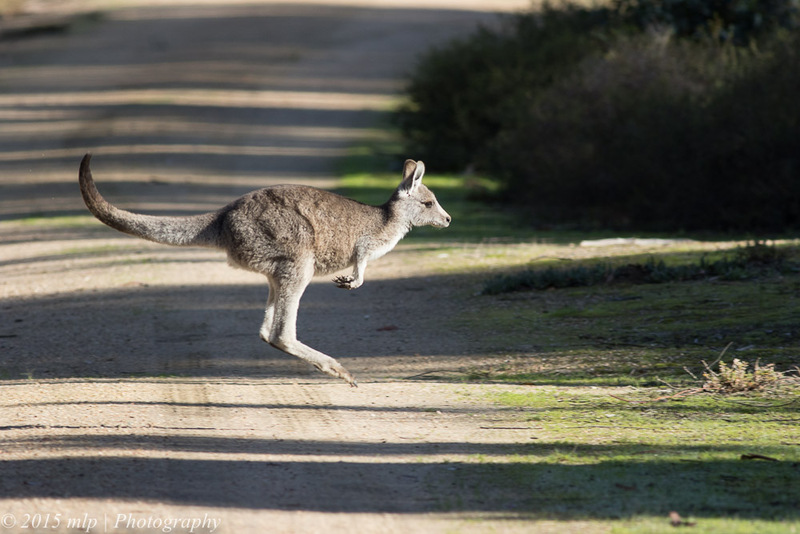 The Grey Kangaroos we came across along one of the walking tracks were wary but generally unconcerned – the larger ones took off first into deeper less exposed scrub followed by the younger ones and a few remaining females with Joeys in the pouch just stood up and watched us walk by. Enjoying the early morning sun on a cold winter’s morning was more important than panicking about a few walkers passing. We even had enough time to take a nice series of images. 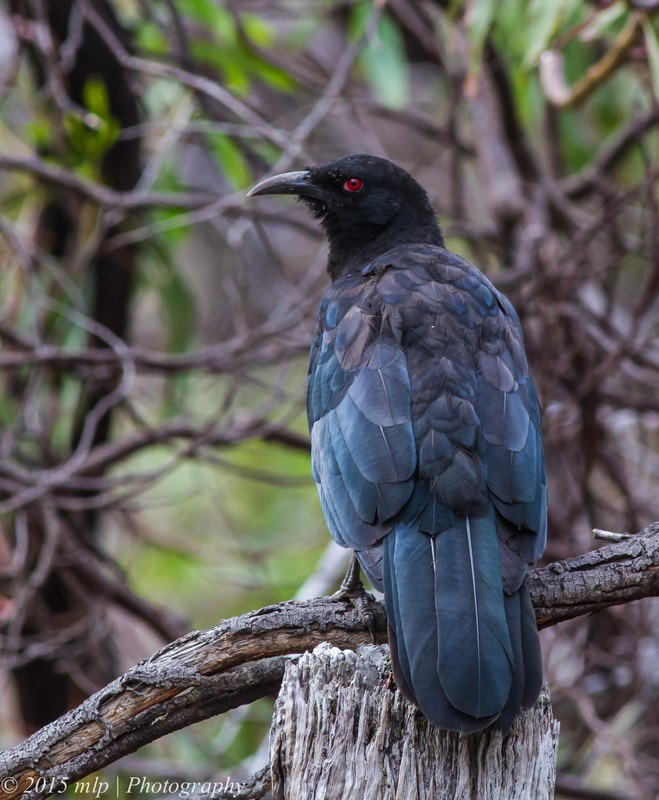 The local sounds were made up of Wattlebirds, Magpies, Kookaburras and several large family tribes of White Winged Choughs. In amongst these usual sounds we kept our ears open for the various Thornbills, Robins and Weebills. At one section that I have not explored that much we found a small group of White Throated Treecreepers. They move around a tree very quickly and are often defy gravity working their way along the bark upside down looking for hidden insects. 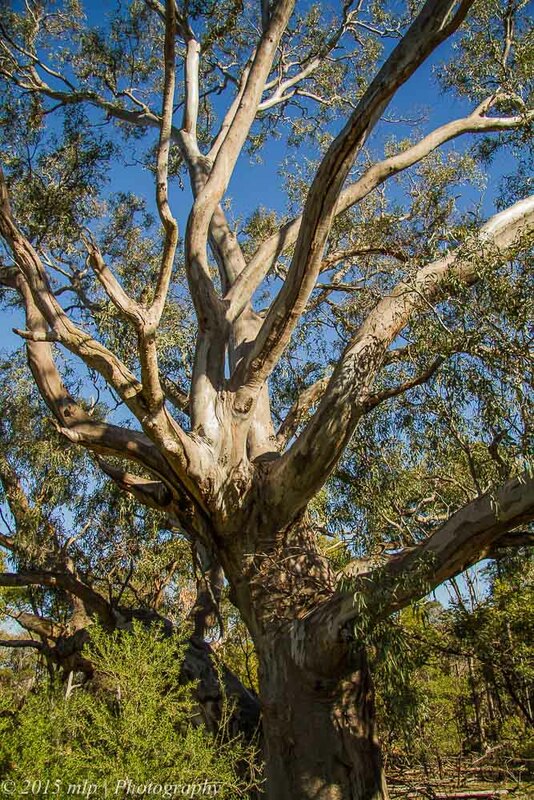 Halfway between Melbourne and Geelong is a Regional Park with high granite peaks and over 50km of Mountain Bike riding trails. 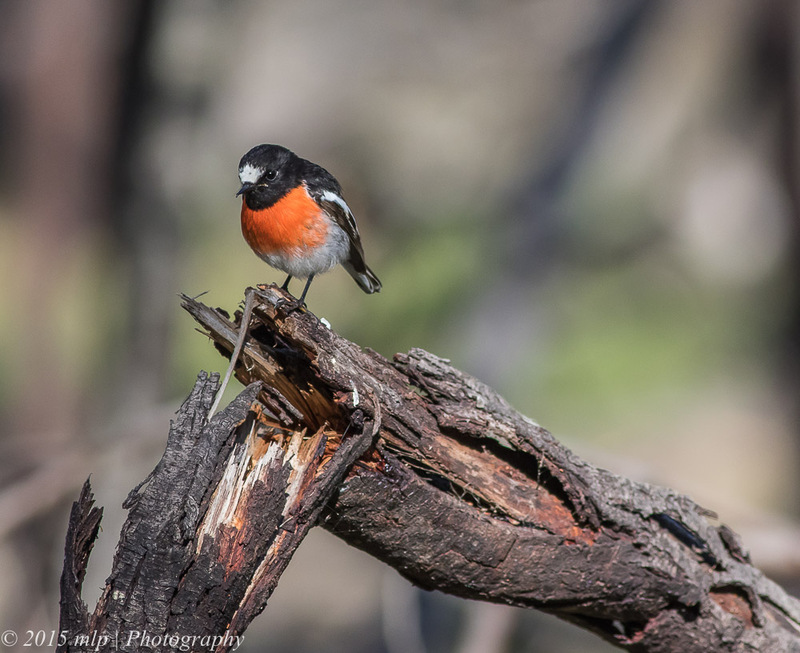 It is also a good spot to bush walk and find a reasonable selection of uncommon woodlands birds. 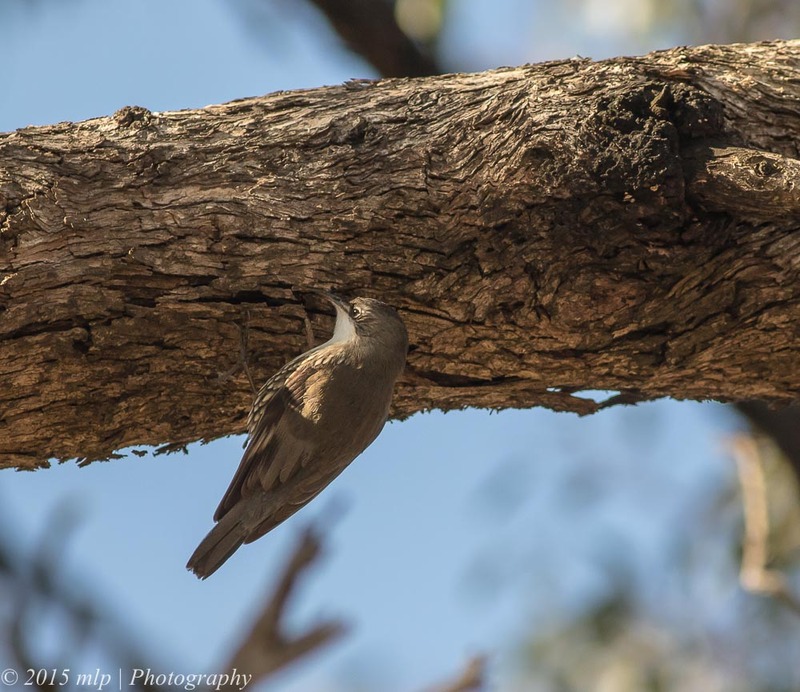 It can be dry and hot at times and there are a few dams in the park near the entrance that usually have water and so are good spots to explore for birds. There is a 12 km dirt road (the Great Circle Drive) that winds around the park taking in most of the main habitats. 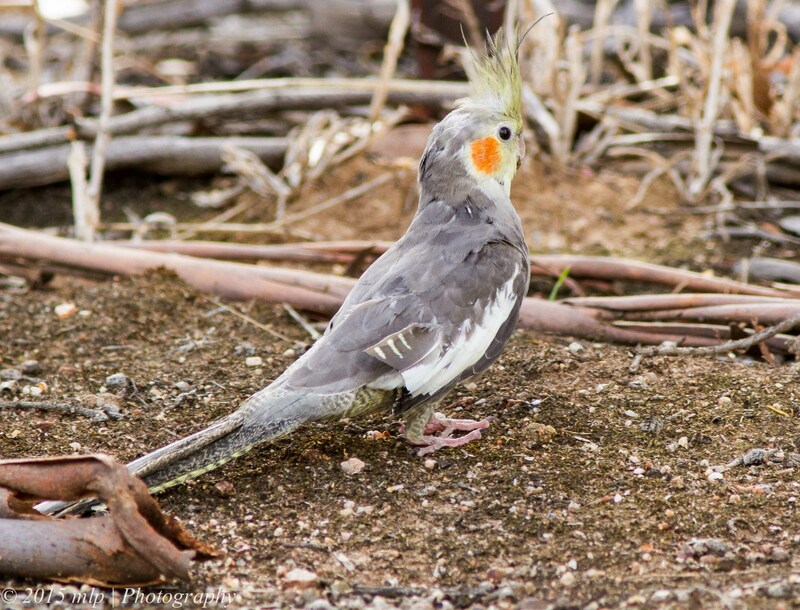 Injured Cockatiel on the side of the road leading to the You Yangs, not known in this area so I assume an aviary escapee. 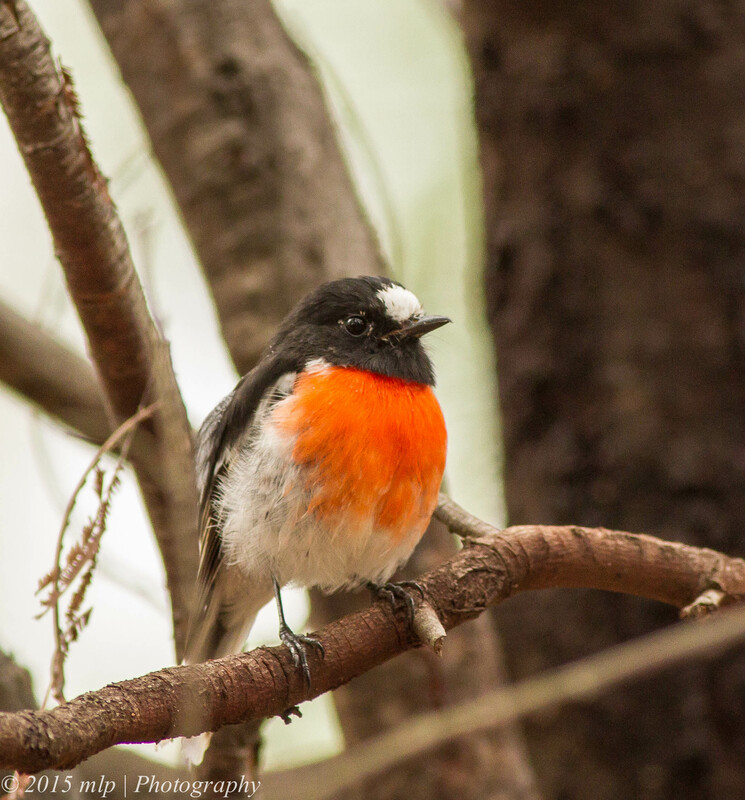 Scarlet Robin – teased me into thick scrub to try and take a photo. 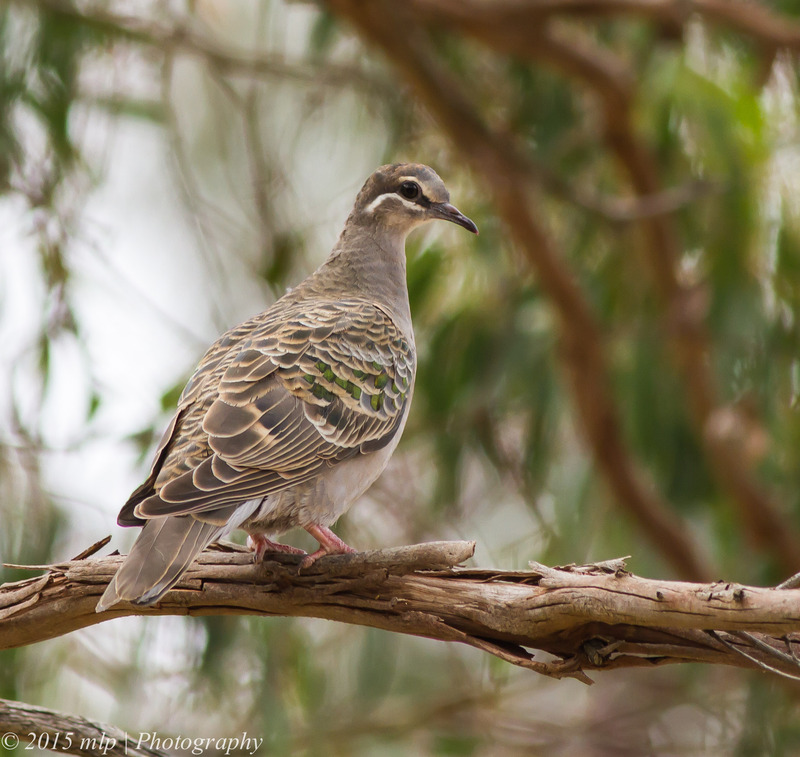 A curious bird and one that stands out quite well against the grey/brown background of the surrounding bush. 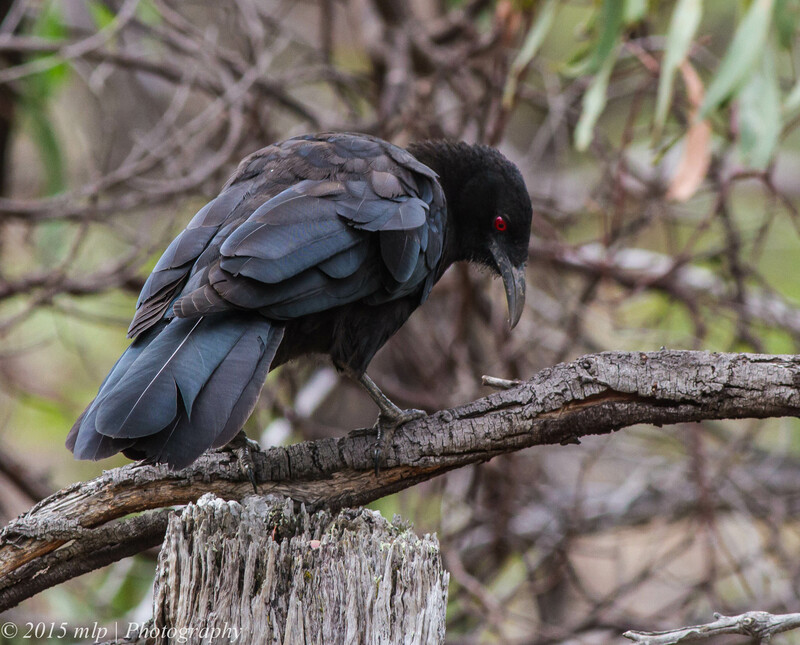 There are several large groups of White Winged Choughs (chuffs) in the You Yangs. 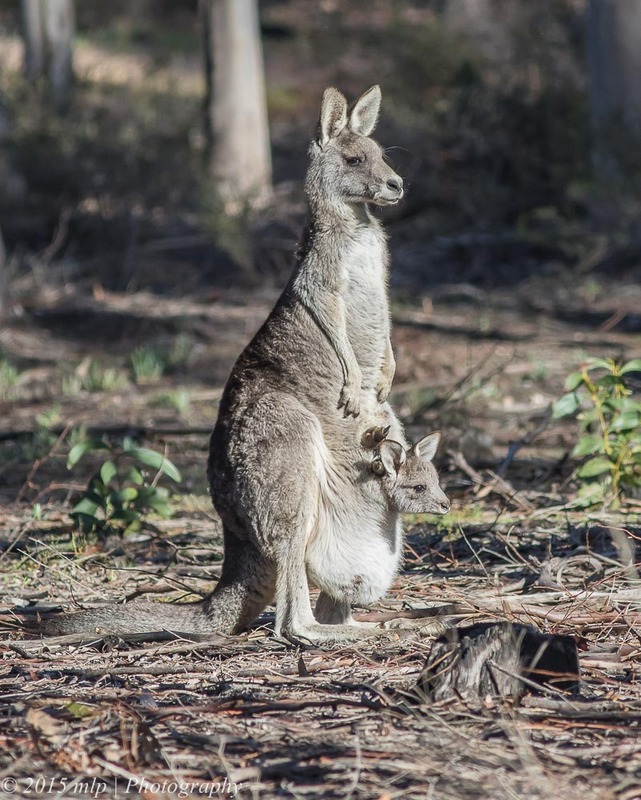 They are a social species living in extended family groups. They are generally hard to sneak up on as they post guards in the surrounding trees as the main group feeds on the ground. I took some time and watched this family and slowly moved closer. They have very distinctive calls and different alarms for a variety of threats. 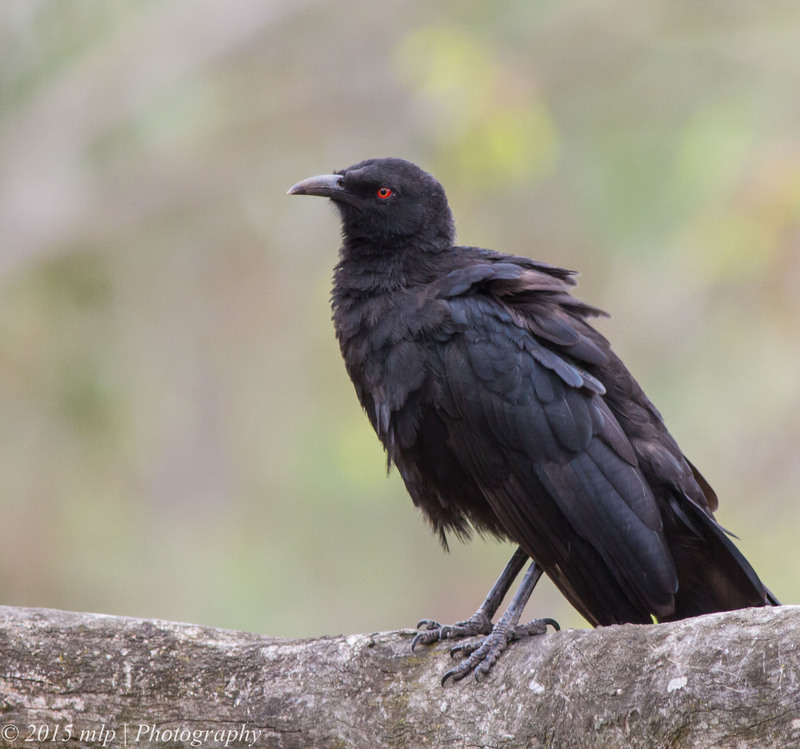 White Winged Chough – one of the guards keeping an eye on me as the main group looked for food on the ground. 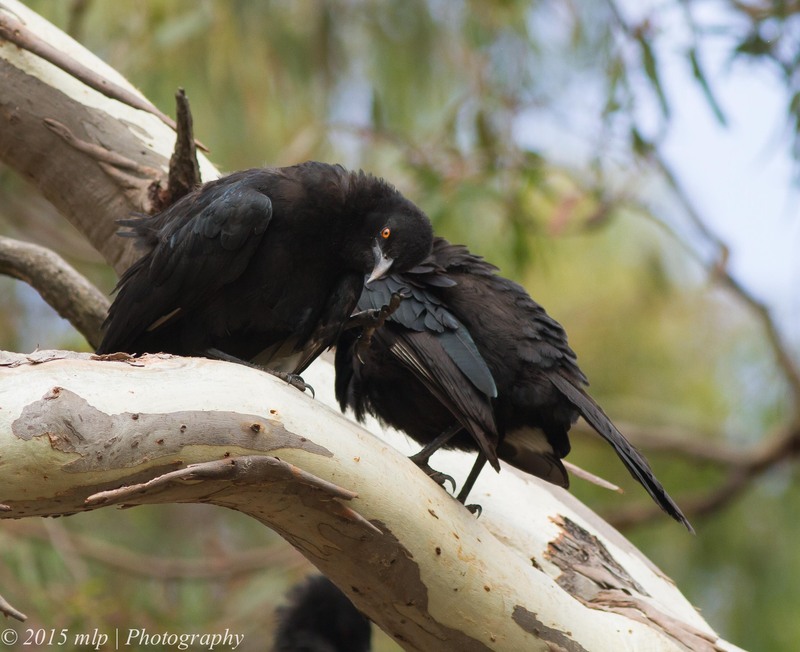 The two above were grooming each other and cleaning their own feathers.